Sixteen-year-old Poppy Sinclair believes in quantum particles, not tarot cards, in Dawkins, not druids. Last summer, in a boating accident in the Lake District, Poppy had a brush with death. But the girl she finds face down in Scariswater hasn’t been so lucky. As she fights to discover the truth behind what she believes is murder, Poppy is forced to concede that people and things are not always what they seem and, slipping ever deeper into a web of lies, jealousy and heart-stopping danger, she comes to realise – too late – that the one thing that can save her has been right there, all the time. I used to be a massive Point Horror fan. Particular favourites of mine were by the amazing Richie Tankersley Cusick, in case you’re wondering. So when I came across Sharon Jones’ Poppy Sinclair thrillers I was excited to find out how they compare, as it’s been a long time since I’ve read anything in the thriller genre. First up, Point Horrors were much more frightening than Dead Jealous. 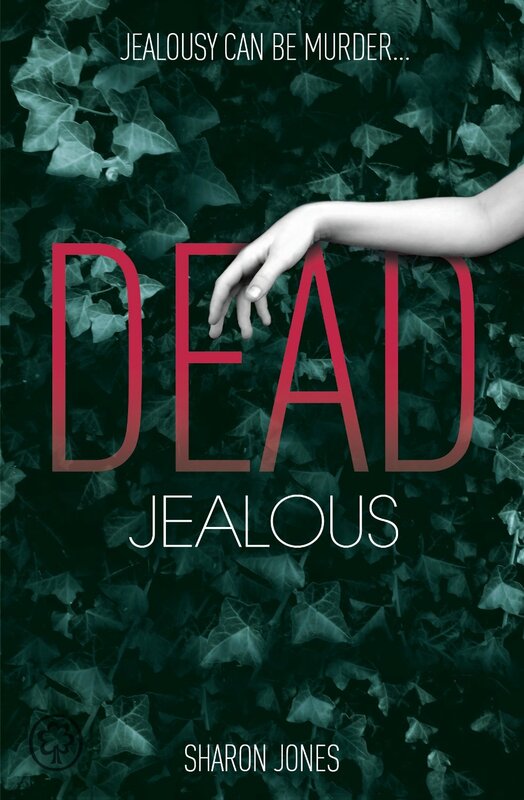 The whodunit element in Dead Jealous needed to be full of suspense but there were very few clues and not much guessing going on in my head as I read it. I wanted to feel my heart pounding in the race to discover who the killer is, but that feeling never came. The love story in Dead Jealous was a bit overpowering, too. It’s a very lopsided triangle and honestly, I found Poppy’s relationship with Michael really annoying – I didn’t believe it at all. However, I did think that the character development in Dead Jealous was pretty darn good, especially considering the third-person narrative. I enjoyed switching between the points of view of various different characters, and loved that we started off with the mystery killer him/herself. I also really liked the setting – the whole book takes place at a pagan festival, so it was easy to get to grips with the atmosphere and the environment that surrounded Poppy throughout the story. I’m looking forward to getting to know Poppy better in the second book in this series – Dead Silent – which is already sitting on my shelf ready for me to delve in to. I’m hoping for a little more mystery and a lot less love triangle in the next instalment, though. I really like Sharon Jones’s books, great to hear your thoughts on book one. From what I remember, Dead Silent does have more mystery and no love triangle at all, so hopefully you’ll like it more!